At the point when an abused Bengal tiger is coincidentally liberated in the modest group of Scotia, a torrential slide of national consideration transforms the sluggish little town into a clamorous wilderness of scared nationals. While a good natured sheriff (Brian Keith), his young girl (Pamela Franklin) and an Indian mentor (Sabu) battle to securely catch the heavenly creature, kids the country over rally to the animal's guard with an energizing "Spare The Tiger" fight. 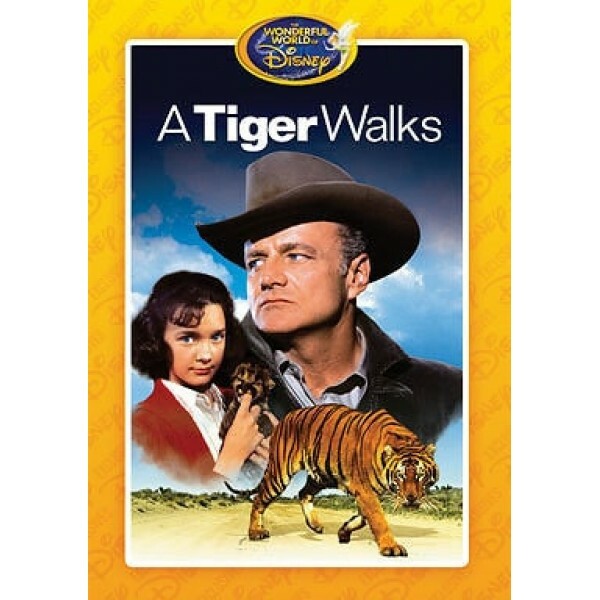 "A Tiger Walks" is the story of a Bengal Tiger that escapes one day from a Circus truck to run detached in and around a residential area, rapidly transforming the spot into a media furor. With apprehension, insatiability, and an overwhelming haze buzzing around, individuals' awful sides turn out as they hurry to catch, murder, and endeavor the animal. Other than the tiger's thoughtful, surviving guardian (a crueler manager gets slaughtered in quest for the creature), just the nearby sheriff (Brian Keith) is concerned with the creature's security. That is, just the sheriff and children the nation over who have begun a "Spare That Tiger" crusade because of the sheriff's little girl Julie's TV meeting. Julie is the genuine crusader for the tiger's situation, and crusade or not, without her industriousness against her dad's vulnerability the tiger would not stand a chance, particularly when the representative has the military accumulated to decimate him!